5GB of data is provided each week, if more is required it´s €35 per 5GB purchased. The 5 cabin version has the large owners cabin and a large double guest cabin, 2 identical double cabins & 1 bunk cabin, all with ensuite, Crew will use either the bunk cabin or Port aft cabin with access from the cockpit. Sam is a real water baby with a passion for sailing. 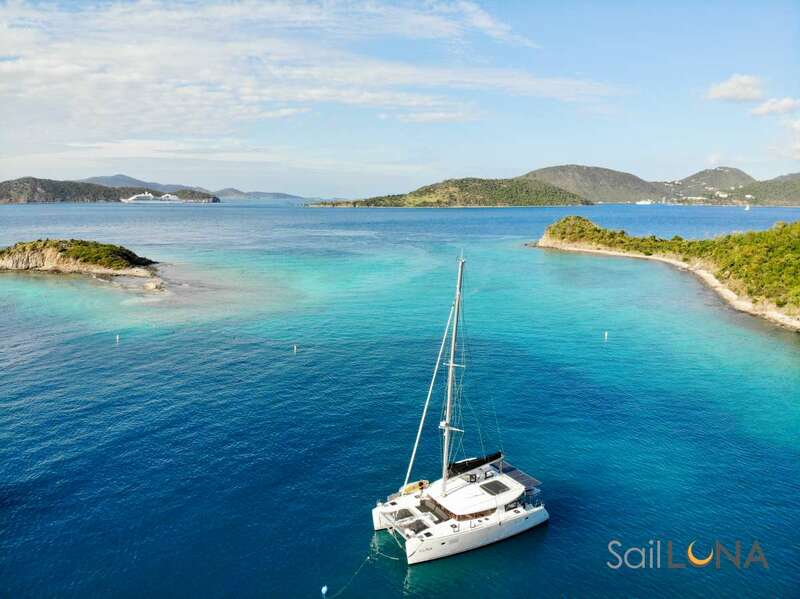 He started his sailing career as a Flotilla Skipper in Greece and has since taken every possible opportunity to gain more nautical miles including deliveries that have seen him sail extensively in the Mediterranean and the Caribbean. He spent his most recent summer providing crewed charters in both Croatia and Greece. Sam knows the ionian really well and is looking forward to sailing there again this summer. As well as a keen sailor, Sam also enjoys fishing and scuba diving. Laura had various office and hospitality jobs before travelling around and working in Asia, New Zealand and finally Australia where she lived and worked on a mining camp. After finishing her travels, Laura returned home and began her sailing career as First Mate/Chef. As a yoga teacher, Laura enjoys reading books on both Yoga and meditation in her spare time. Send us an inquiry to get specific pricing for Lagoon 52. ´We’ve been back just under a week but the joy of being on Aurous lives with us daily. ´I am sitting in my office looking at my photo’s of one of the best holidays we have ever had – and we are not short on holidays .